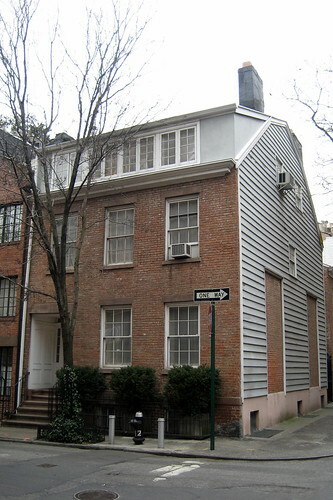 The oldest house in the Village, dating to 1799, was owned by Harmon Hendricks, who cornered the colonial copper market along with Paul Revere. 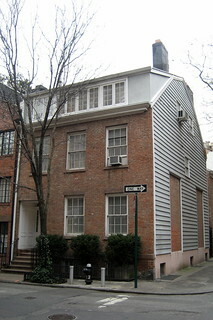 Originally a free standing Federal style frame house with its own yard, the Greek Revival brick façade was added in 1836. Other significant remodeling has both altered and restored the original Federal style. The rebuilt clapboard walls are visible to the side and rear.